Sean and Chris make their first visit to the upper peninsula of Michigan. 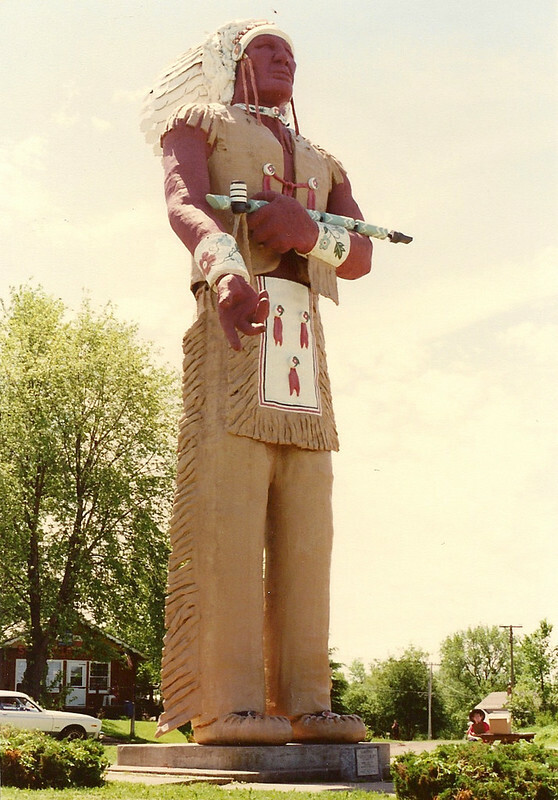 The world's largest Indian is found in Ironwood, Michigan. Click here to see Chris's return visit in 2008. 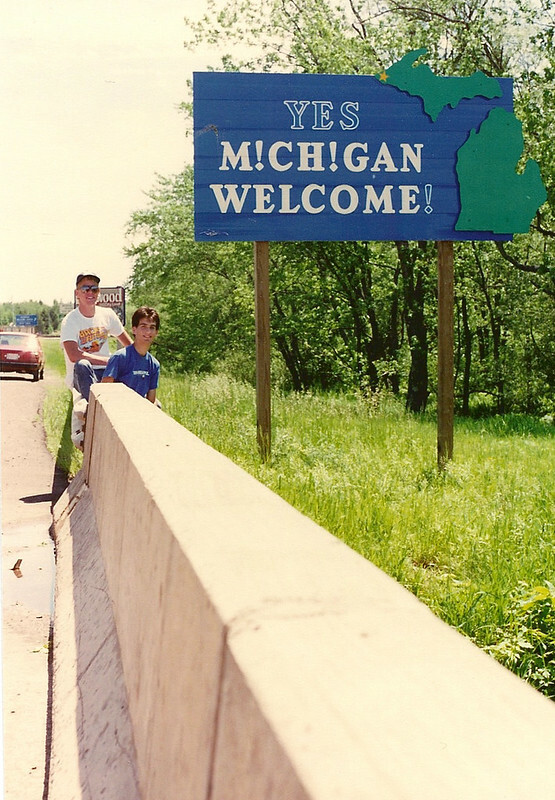 Sean and Chris pose with the impressive sign welcoming visitors to Wisconsin.